"A remarkably gripping and moving tale of a life saved-in more than one way-by the power of friendship." 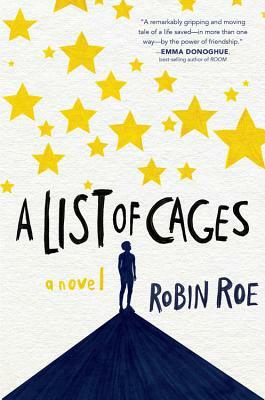 "As inspiring as it is heartbreaking, A List of Cages is a hero story you will never forget." "A poignant, hopeful story about loss, grief, abuse, and the transformative power of friendship." Robin Roe has a bachelor's degree from Cornell University and a master's from Harvard. She counseled adolescents in Boston before she moved to Dallas, Texas to run a mentoring program for at-risk teens. This is her first novel. Follow Robin on Twitter @robinroewriter. * "A triumphant story about the power of friendship and of truly being seen." "A remarkably gripping and moving tale of a life saved -- in more than one way -- by the power of friendship." * "A page-turner with a lot of compassion."